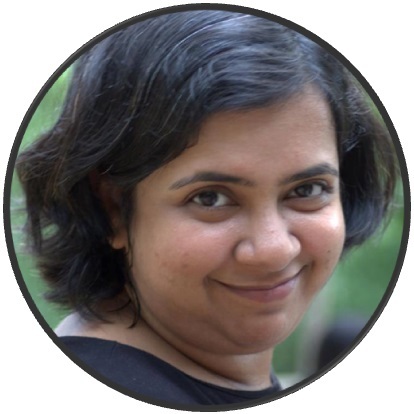 Khichdi (another term for hoch-poch) has different significance at different parts of India. 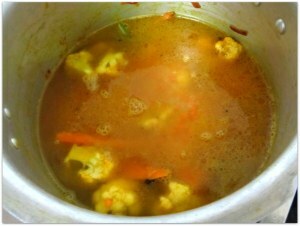 In most parts of northern and central India it is viewed as a meal for the sick. 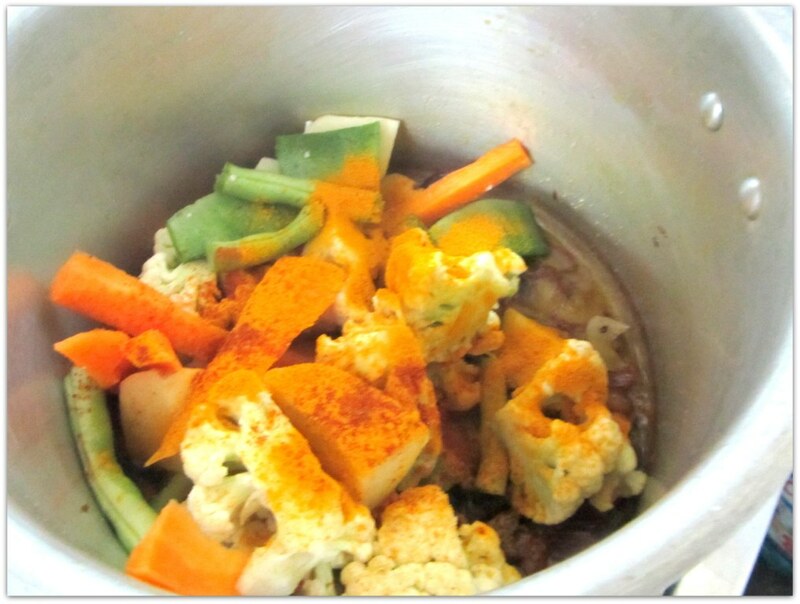 As a result it is made as bland as possible with no spices and some like it but many hate it. However, in parts of eastern India, and mainly in Bengal, Khichuri (as we call it) has multiple facets. It is a quintessential dish served as a bhog (prasad, or an offering to Goddess) during Durga Pooja, and I have no idea why that is so darn delicious. 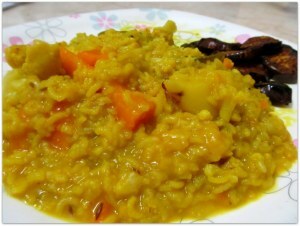 Bhoger khichuri as we call it is devoid of many spices and onions. The second yearning that a Bengali experiences for this dish is when the monsoon arrives and it starts raining cats and dogs especially during lunch time. In this scenario the recipe is not limited by any restrictions of Bhoger khichuri and you can go bonkers with whatever you wanna add. 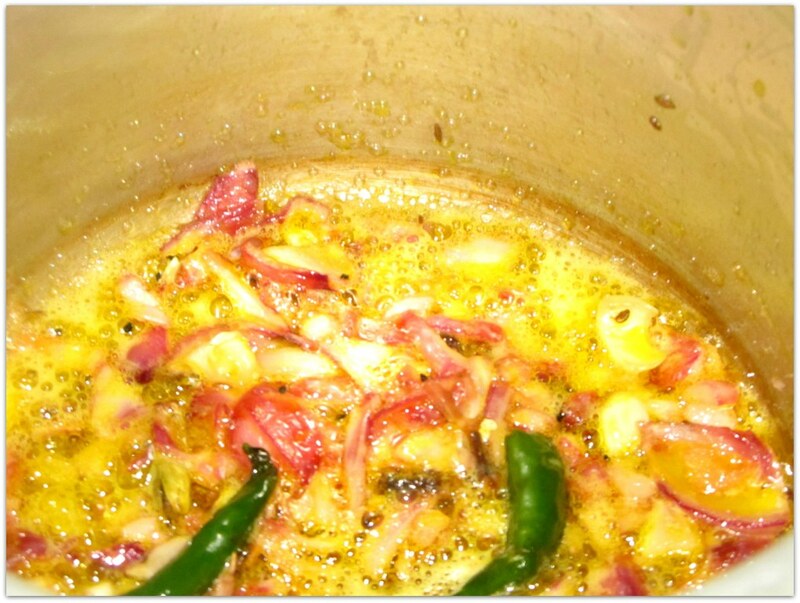 The following is simply our version of the same with not so many ingredients but hopefully with an aroma and taste that will give you a flavor of being a Bengali (if you are not) or take you back in time, in case you are one. 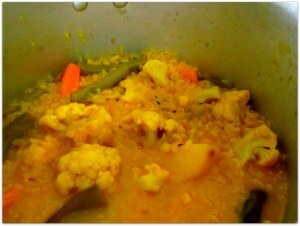 Dice the potatoes, carrot, beans, cauliflower in the way you feel most comfortable with. Clean them up if they don’t look clean enough as per your standards and keep them aside. 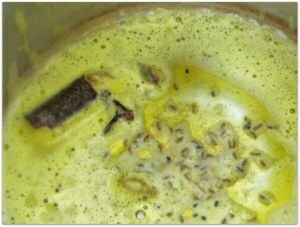 Add two table spoons of mustard oil and one spoon of ghee in your pressure cooker and when it becomes hot enough throw in one table spoon of cumin seeds, one stick of cinnamon, four-five cardamoms and cloves. In the mean while dice the onion as per your liking. After couple of minutes add the onions and one or two green chilies in the cooker. This is a good time to throw in couple of tea spoons of salt as well, as it would prevent the onions from being burnt in case the heat is too high. 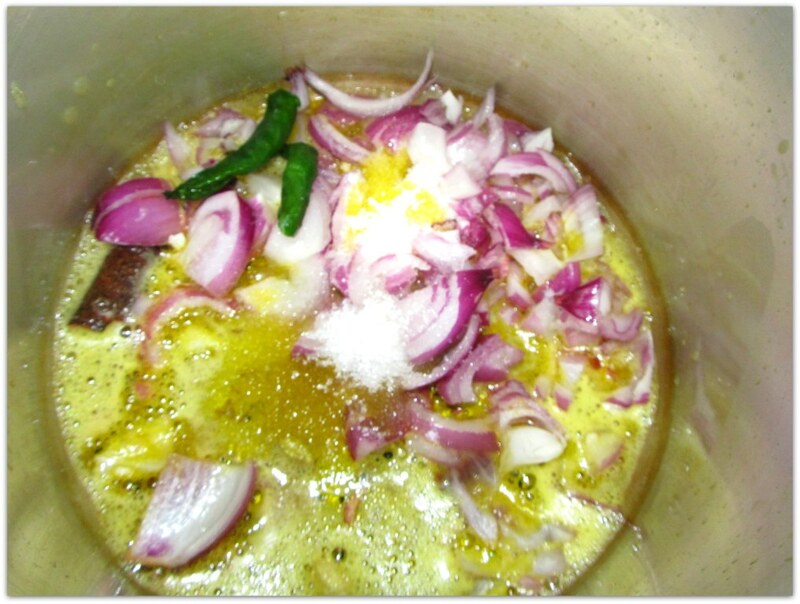 When the onions start to change color, add all the veggies that you had put aside and mix them with one table spoon of turmeric powder and give them a twirl. Take one cup each of rice and masoor dal and mix them together. Run them under water and add to the mix in the cooker. Add four-five cups of water, close the lid and wait till your cooker whistles 4-5 times. 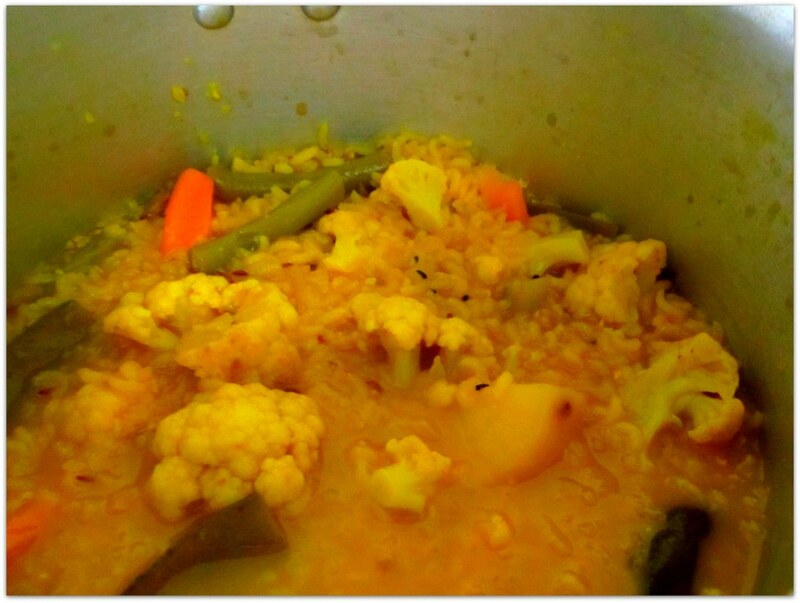 Voila, your khichuri is ready to serve. 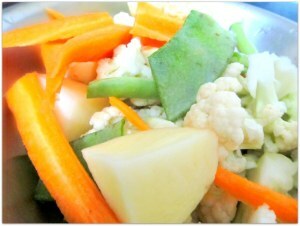 Dice the veggies in any way you like. 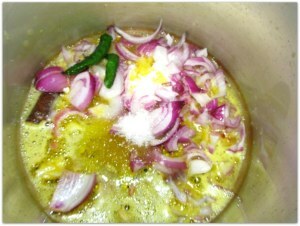 Heat up two table spoons of mustard oil and 1 spoon of ghee in a pressure cooker. Add cumin seeds, cinnamon stick, cloves and cardamom. Dice one big onion into whatever size you like and throw it into the cooker along with two tea spoons of salt. 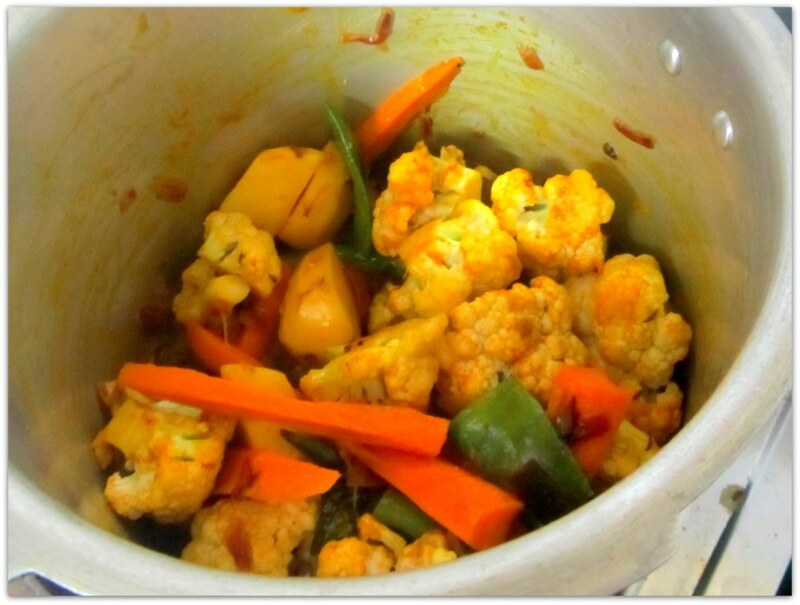 When the onions start to change in color, add all the veggies, and one table spoon of turmeric powder. 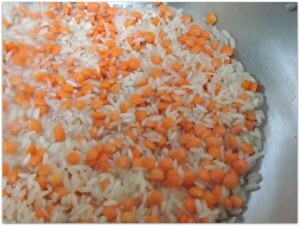 Rinse one cup of rice and masoor dal with water and add the mixture to the cooker. Add 4-5 cups of water and close the lid. 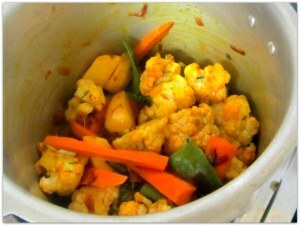 Wait for 4-5 whistles and serve hot.